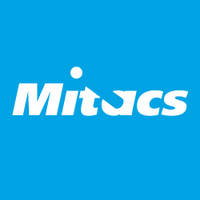 Mitacs is currently seeking proposals for its Elevate Postdoctoral Fellowship program. This is a unique postdoctoral fellowship program that supports recent PhD graduates to lead and undertake research projects in collaboration with a partner organization, while completing a training program aimed at developing the professional skills required for their future careers. Further details on this program are provided below. If you are interested in applying to this competition, please contact Kim McIntyre, post-doctoral services coordinator, at kimmcint@yorku.ca or extension 22993.